On the first day of Christmas my true love gave to me: CHEESE. We love chocolate as much as the next person, but, let's be honest, the goodies in most commercial advent calendars are somewhat lacking. Just because you're sick of compound chocolate (the cheaper chocolate typically used in advent calendars because it's easier to mold into those little squares) doesn't mean you can't feel festive as you count down the days to Christmas. From edibles and indulgences to activities, here are 10 advent calendars that go beyond chocolate this holiday season. Dreams really do come true, because there's finally a cheese advent calendar. Dubbed "the world's first," the calendar is the brainchild of U.K. blogger Annem Hobson. The calendars go on sale Nov. 9 for £8 (about $13.40) in ASDA stores across the U.K.
Time to call in a favour with any British friends or family members. Well, this will put a jingle in your jangle. H&M's advent calendar features 24 festive accessories to keep you stylish this holiday season. Rings, earrings, charms, and necklaces — plus a satin ribbon to hang it on the wall. The calendar is available for $39.99 at H&M. For the family that wants to focus on giving this holiday season, "My Kindness Advent Calendar" gives you 25 opportunities to give an act of kindness. Best of all, it's Canadian, designed by Toronto's Maran Stern-Kubista. 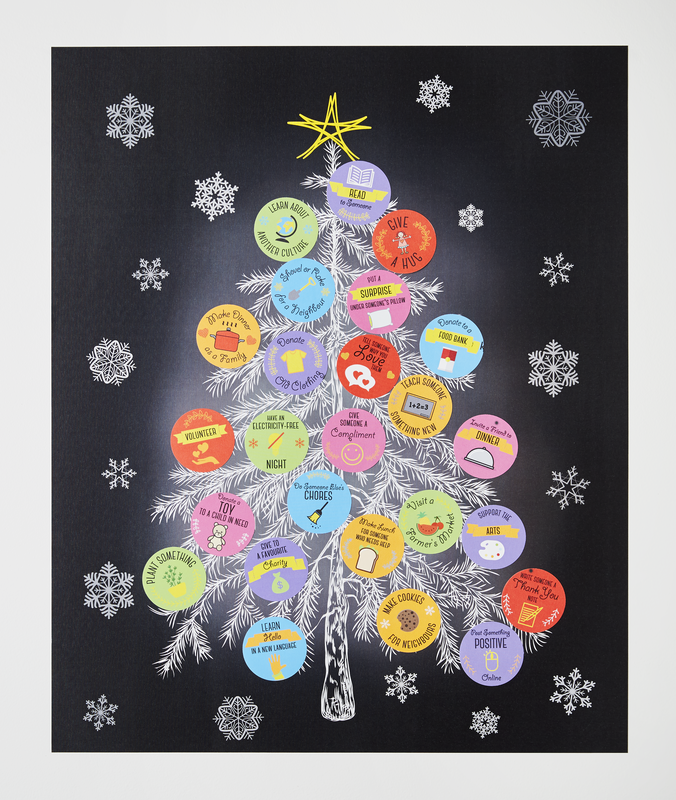 With daily stickers encouraging you to "invite a friend to dinner," "do someone else's chores," or "teach someone something new," the calendar will "instill compassion, kindness and the spirit of giving in your family throughout the holidays," according to its website. It's available online for $75. Winter can do a number on your complexion, so Biotherm's Advent Calendar Christmas Set is high on our wish list. Each of the 24 doors reveals another Biotherm product. It's available for $69.30 from Shoppers Drug Mart's Beauty Boutique. AND you'll earn more than 1,000 PC Optimum Points with your purchase. So, you know, bonus! The LEGO City Advent Calendar is so much fun, adults might want one, too. Each door reveals another LEGO accessory, such as a train, a mini-figure, and even Santa himself. It's available for $39.99 from Indigo. Colouring is so cool right now, no matter your age. And the Advent Calendar To Colour colouring book sounds absolutely delightful. The fold-out advent calendar features a black and white street scene that you colour bit by bit in the lead-up to Christmas. There are also doors and windows to open every day. It's available for $12.95 at Indigo. These glossy, colourful treats look beautiful enough to eat, but they're to go on your face, not in it. 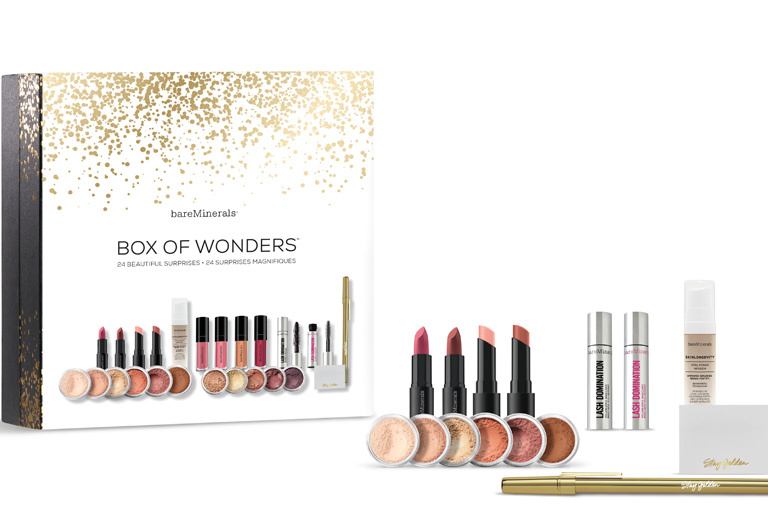 Each door in the BareMinerals Box of Wonders reveals another glamorous goody from their holiday makeup set, including lipsticks, eye shadows, powders, blushes and mascaras. The advent calendar is available for $97 from Sephora. 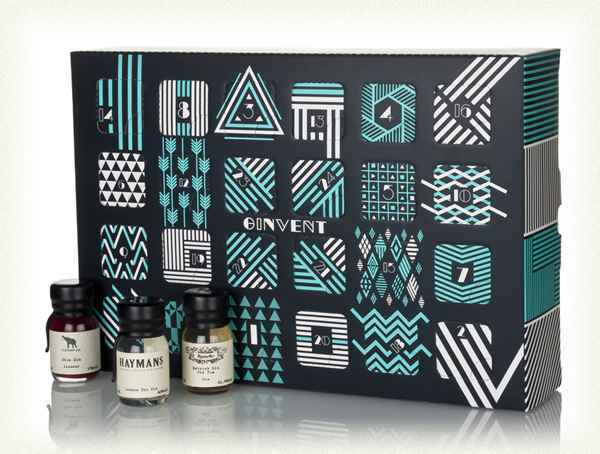 Drinks By The Dram and Gin Foundry have once again partnered to bring us the "Ginvent Calendar." There's a 30ml sample — from craft gins to new names to hard-to-find treats — behind each of the 24 doors. It retails for $173.73 and is available online. This exists. And our only question is what took so long? 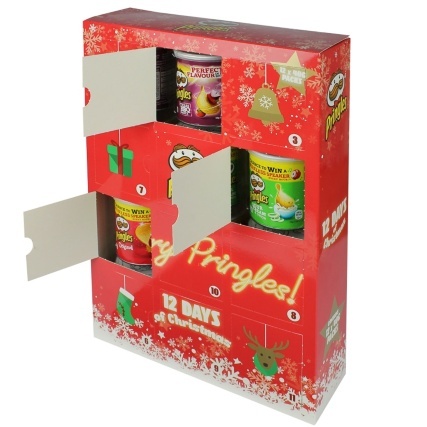 The Pringles 12 Days Advent Calendar hides a tub of delicious chips behind each door. It's sold by U.K. retailer b&m for £7.99 (just over $13), and is already selling out in stores and being listed on EBay for three times the cost. You'll have to go to some extra effort to nab one for the chip-a-holic in your life (or yourself). If you're going to do chocolate, do it right. And do it Canadian. All the chocolate treats in the Purdys Chocolatier Home for the Holidays Advent Calendar are crafted from 100 per cent sustainable cocoa. And the goodies, which include salted caramels, cookie crunch bells and traditional milk chocolate snowmen, sound delicious. The company is based out of Vancouver, B.C., so you can feel good knowing that you're supporting a Canadian business. The Home for the Holidays Advent Calendar is available for $25. After three successful runs, the Short Story Advent Calendar is now accepting holiday orders for its 2018 edition. Do you know someone who loves to read? If that "someone" is you, heck, buy it for yourself 'cause it's the gift that keeps on giving (for 24 days, to be precise) for the ultimate book lover. Each of the 24 booklets contains a short story by a different author from North America and beyond, including R.O. Kwan, Etgar Keret, Ben Greenman and Kevin Barry. The 2018 Short Story Advent Calendar is available to buy online.